"Long gone are the days when costume jewelry pavé and stonework is looked down upon, especially with quality gems from crystal giant Swarovski. Diamanté looks can be much more elaborate and easier to wear casually that real gemstones which could tend to look garish if not paired in the right manner." - Roxanne Robinson, Editor at Large, The J Jewelry Journal and Accessories Consultant. 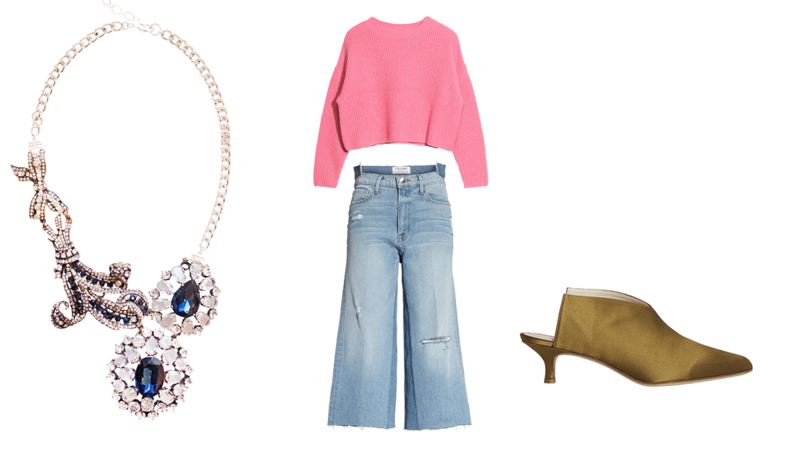 We couldn't agree more.Here are six everyday looks that let diamanté pieces, like the ones from our "A Crystal Ball" accessories feature, have their shine. When you see our logo + , click to shop. 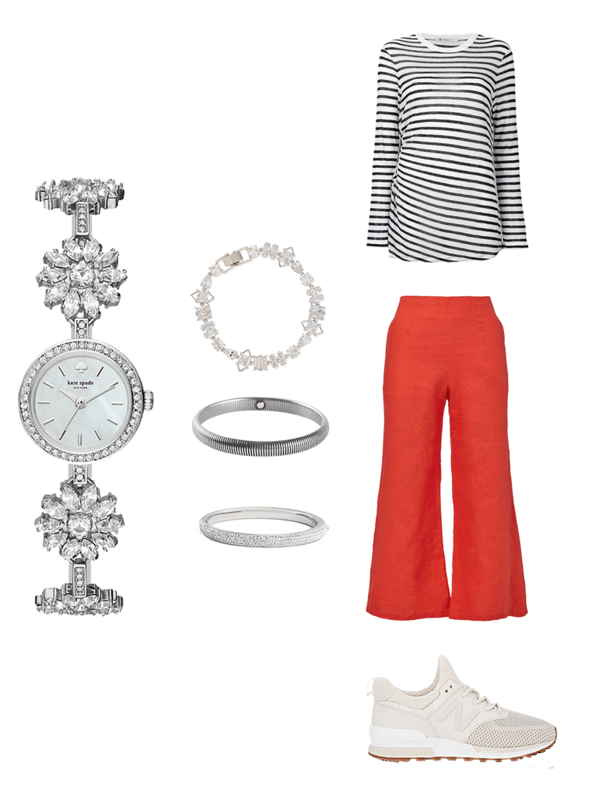 A striped top, red pants, and classic sneakers with an "urban prep" vibe gets a glitzy twist when a diamanté watch is paired with a wristful of bangles to create an arm party in the same metal and stones. 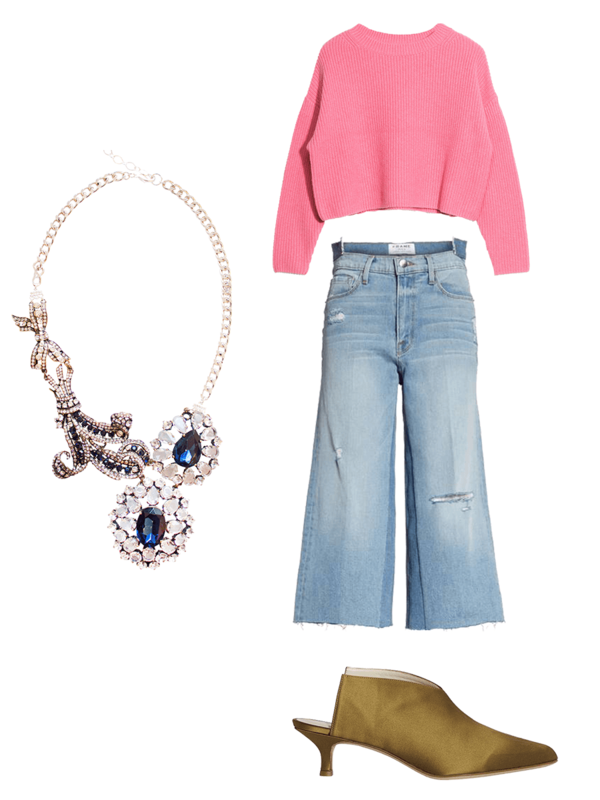 A pink sweater is the perfect backdrop for a statement necklace because of its color and crew neckline. 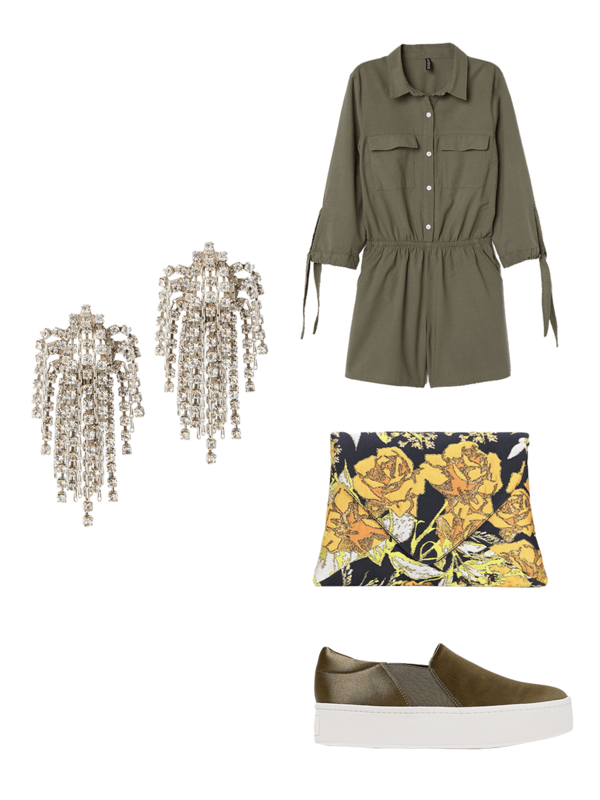 Paired with cropped jeans and khaki satin mules, this look is a true combination of casual luxe. 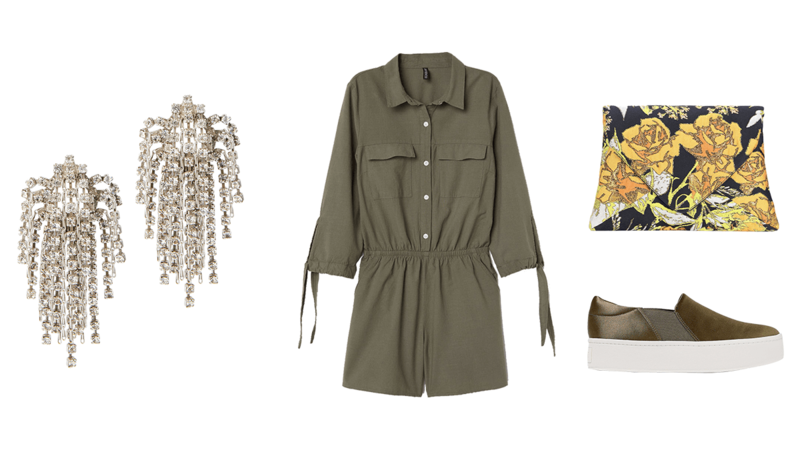 A wine-hued dress looks relaxed when joined by a straw bag and black open-back loafers. The addition of diamanté retro-inspired hoops is an unexpected, playful touch. 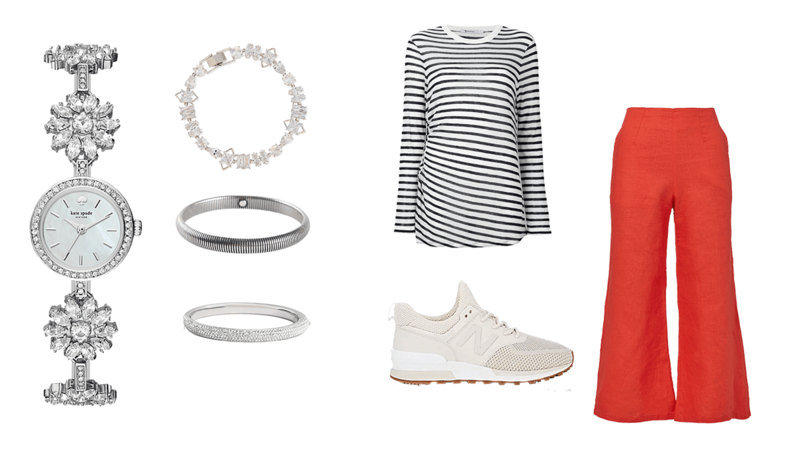 A not-so-basic sweatshirt in classic heather grey gets an upgrade with ruffle detailing and is worn with a denim pencil skirt and sport-inspired sock boots—a trifecta of sporty style. But adding chunky diamanté rings to each hand will take this look from sporty to sophisticated. 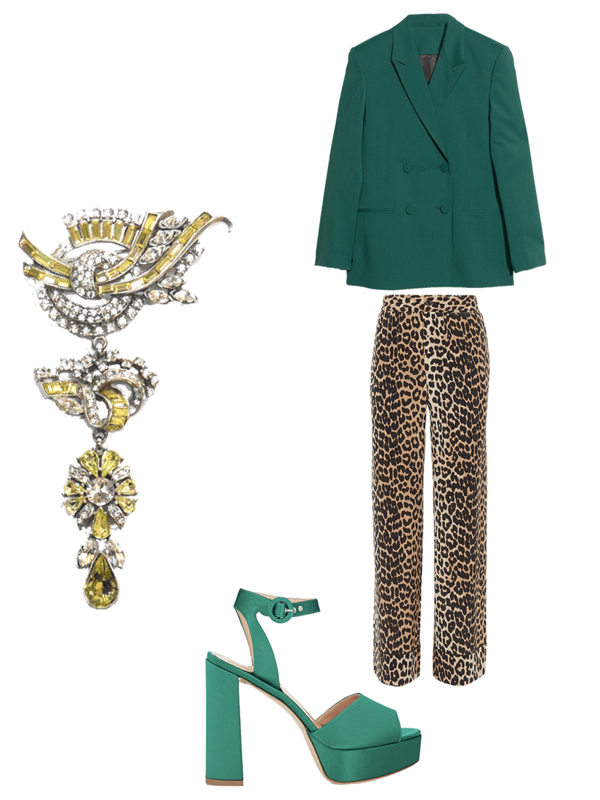 Roomy printed trousers and a double breasted blazer create a "suit" that's far from boring, especially with the addition of a linear brooch that dangles delicately. Satin platforms add glamour. 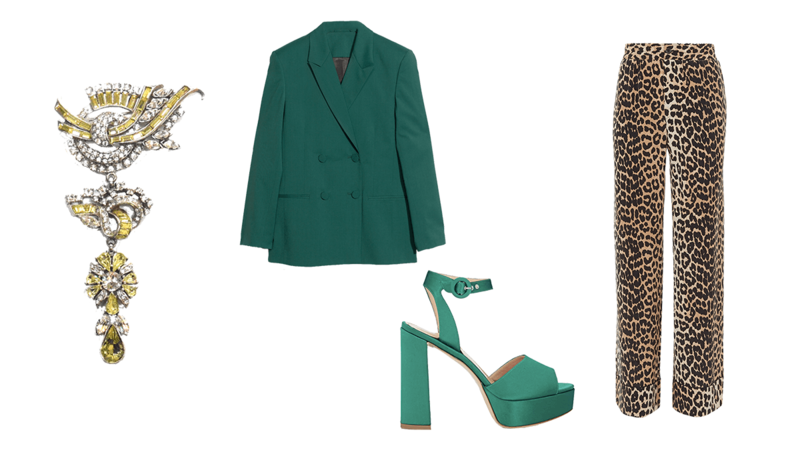 Rethink a jumper by adding cascading diamanté earrings and a boldly patterned, structured clutch. A satin platform slip-on sneaker matches in color and combines both the casual and dressy elements in the rest of this look. - T.R.